Saffron is a remarkable spice that has been used by many cultures for over 3500 years as a flavor in food, as a medicinal and as a tea. It is also a coveted natural dye. Saffron comes from the October blooming crocus. The three stigmas in each flower are the saffron threads. The highest quality stigmas are a deep red. When used in food, beverages and dyes, the color is a light-to-vivid yellow and the unique flavor is impossible to reproduce. The stigmas are added to hot (not boiling) water to release their flavor. 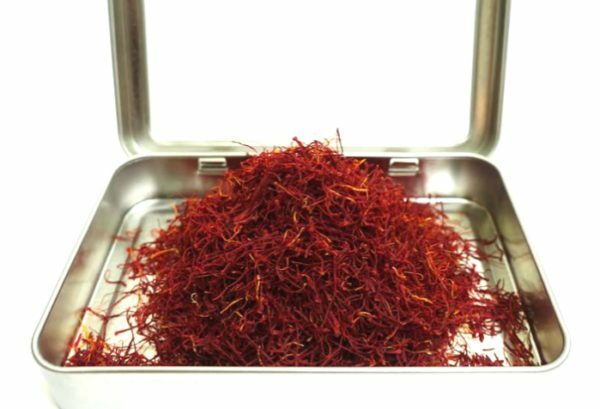 Stored in its container in a cool, dark place, saffron will maintain flavor and integrity for several years.